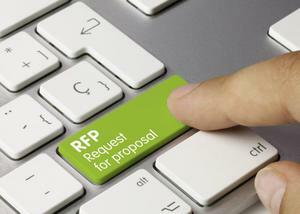 Submittal of Proposals. All Proposals shall be submitted on forms furnished by the District. Proposals must conform with, and be responsive to, the Proposal and Contract Documents, copies of which may be obtained from the District as set forth above. Only Proposals submitted to the District prior to the date and time set forth above for the Proposals shall be considered. Documents Accompanying Proposal. Each Proposal shall be accompanied by: (a) Non-Collusion Declaration. No Withdrawal of Proposals. Proposals shall not be withdrawn by any Contractor for a period of Sixty (60) calendar days after the opening of Proposals. During this time, all Contractors shall guarantee prices quoted in their respective Proposals, and as it relates to E-Rate parameters. The Board of Education reserves the right to reject any and all Proposals. Refer to the formal documents and specifications for additional information, terms, and conditions. All equipment, supplies, and/or services must be delivered within 30 consecutive calendar days from the date of the notice of intent issued by the District, unless negotiated prior to award of contract.